The teen years are sometimes know as 'turbulent ' times and for a good reason! As it brings a range of new challenges as children begin the transition to adult hood but are still developing maturity and beginning to work out their own sense of self in the world. As adolescents start to expand their horizons and move into the adult world, a range of challenges can arise, for themselves and their parents. All teens face issues that affect their self esteem, sense of meaning, body image, sense of capabilities, relationships with the opposite gender, gender identity…and to add to all these are the hormonal and physical changes and the last straw is the academic pressures and pressures of their future. It is no mystery then that teens sometimes do lose focus, get angry, feel lost, feel worthless. This is a safe confidential non judgmental place to explore whatever is going on in your teens life. That may be to do with school, home, friends, relationships or a combination of all of the above. 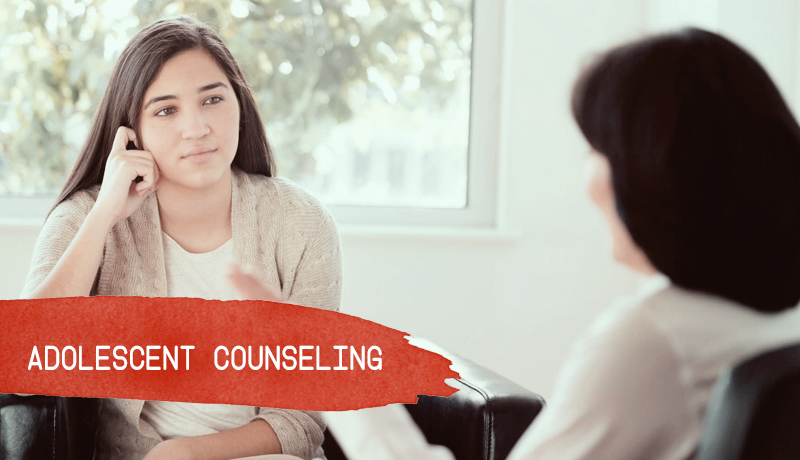 Adolescent counseling will also involve family work. We will use a family systems approach to encourage all family members to understand their own, and other family members', needs and to explore new and more effective ways of communicating their needs to each other. Developing skills for improving your core relationships-with family and friends. So, if you're looking for solutions and support through this challenging situation or you're just ready to move in a new direction in your life, I look forward to working with you [and your parents] to achieve your goals. Please call me at (+91) 9582800790, or email me at Aparna@lifeskillsexperts.com. We can discuss the options that might best work for you and agree on a course of action.